We've already heard a lot about what's new in Android 8.0 Oreo, but something that has not received much attention is its support for Wi-Fi Passpoint. Also known as Hotspot 2.0, the technology was introduced by the Wi-Fi Alliance way back in 2012 as a way to simplify the process of moving from one wireless hotspot to another. Anyone who has connected to a hotspot while walking through a city will have experienced the frustration of having to log into one hotspot after another in order stay connected to the internet. Wi-Fi Passpoint makes jumping from one hotspot to the next as simple as using a data connection, eliminating the need for login credentials. Support in Oreo is a great step forward... but Google has chosen to make it optional for OEMs. Being able to skip between hotspots without the need to log into each one has the potential to be a great time saver, so it's a shame to see that the feature is being made optional by Google. 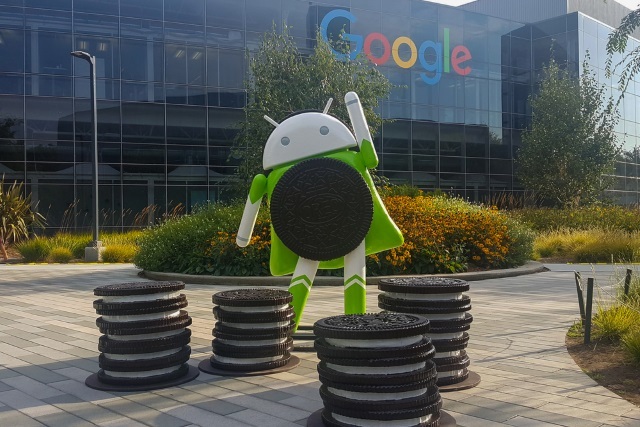 However, OEMs are being advised that offering Wi-Fi Passpoint support is recommended, so there's a reasonable chance that if your handset is going to get Oreo, you may also be able to take advantage of the feature. Wi-Fi CERTIFIED Passpoint launched in 2012 as an industry-wide solution to streamline network access in hotspots and eliminate the need for users to find and authenticate a network each time they connect. In Wi-Fi networks that do not support Passpoint, users must search for and choose a network, request the connection to the access point (AP) each time, and in many cases, must re-enter their authentication credentials. Passpoint automates that entire process, enabling a seamless connection between hotspot networks and mobile devices, all while delivering the highest WPA2 security. Passpoint is enabling a more cellular-like experience when connecting to Wi-Fi networks. Passpoint was developed in Wi-Fi Alliance through partnerships between mobile device manufacturers, network equipment vendors, and operators. Passpoint reflects the depth and breadth of that collaboration as a great solution for end users, network operators, and device vendors. There is no particular incentive for OEMs to include Passpoint in their Oreo builds, but pressure from users may be enough to persuade them.